When I started the Classic_DM YouTube channel, the idea was to evangelize the beauty and fun of the game 40 years later. 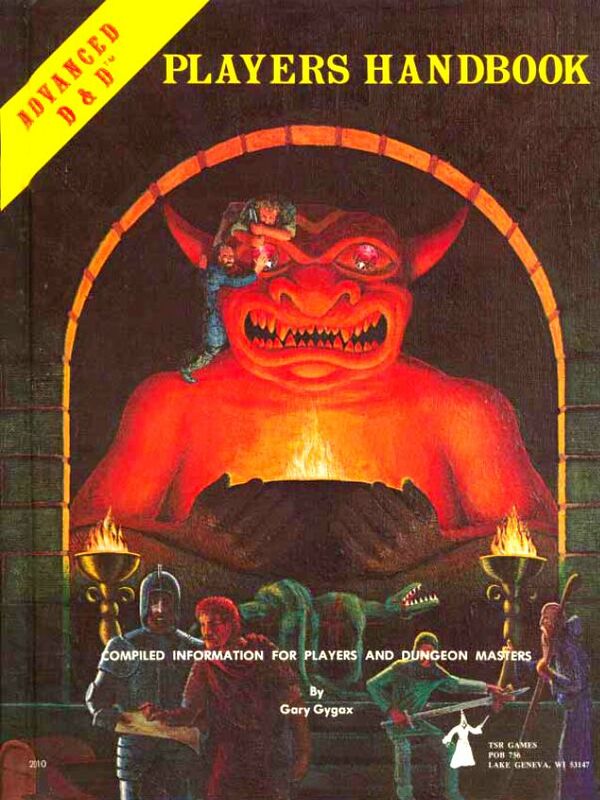 Advanced Dungeons & Dragons had a huge impact on my life, my profession, and my creativity. In the beginning, I knew I did not want to become a streamer and at the same time, not try and develop content that was video editing heavy or full of hard cuts. Instead, I decided to capture one-take live play sessions. After all, all I wanted to do was go back in time to when I was 13 years old and play the game. 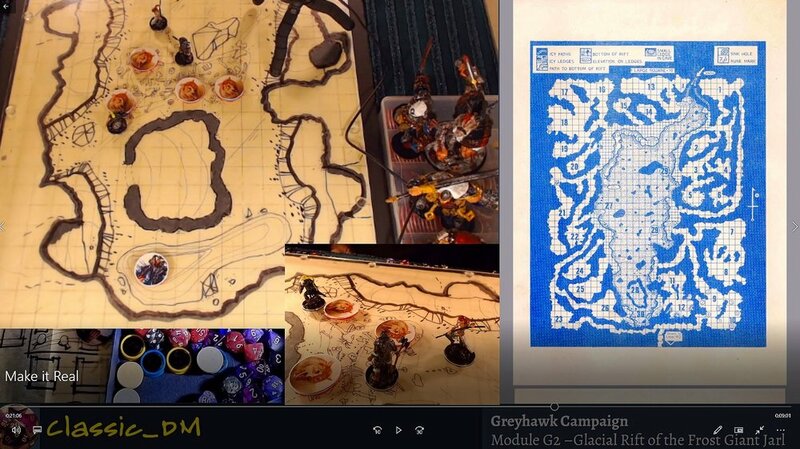 Initially, I streamed the show using my home made Battle Glass and handmade tokens on Twitch. This allowed me to capture the play sessions live while also facilitating a cloud-type storage space I could export over to YouTube with a few clicks. In December I found myself out of state with only a mega-sad satellite internet connection slower than an X-Boat (for all you Traveller players) so that had to change. I started making the videos locally and saving them out to an external hard drive, and then uploading. Along the way, I started getting questions. Not really subscribers, but lots of questions. Questions about how time works in the game, combat, classes, my house rules, and mostly from players who play 5th edition, had never played first, but were intrigued about it. in response, I started the Learn to Play series. I shared it in some of the Facebook groups and it began to gain momentum. So let’s take a step back and see how things have evolved. Above we see the top five videos based on watch time. I like to use this metric to get a sense of what viewers are interested in. Here is the growth since I started the channel back in later September of 2018. Since moving all the content to my author and game design website and restructuring, there’s been a good amount of growth! It’s a modern world. View time splits between PC and Smart Phone use! It’s fun to see some things take off. If you have any specific requests, be sure and let me know! There is still a lot to improve upon and we’re just getting started! I went back and did some clean up on the How to Player 1st edition Page and playlist on You Tube. Hopefully, this will give viewers and players a chance to get a sense of what each episode covers before they head to YouTube, saving time clicking on descriptions and such. Also. If YOU have any topics you’d like to see let me know! I would be happy to take requests. I’ve been responding to YouTube comments as I get a chance, but if you want a cool video done just on your topic, let’s make that a challenge and dive into it! Playing D&D? Awesome. Playing 5th edition? Excellent! Worried about betraying your friends and family by checking out another edition of the same timeless classic game? Don’t be that way! Be a scholar. Every OGL game expands the depth of the hobby as do war gaming rules from Warlord and Osprey! Don’t overlook the superb writing and production value of Pathfinder. You may not like the complexity of 3.5, but as an OGL variant, it is an incredible source of inspiration for your game! New video guide added to our 1st Edition Library. Let's talk spells. Spells in combat. Casting time when we compress melee rounds. V,S,M. Saving throws, memorization, all that. This is a laid back conversation about how Gygax and crew designed spell casting in 1st edition and what you and your DM can do to amplify fun in your modern gaming. We discuss the Thief and the Assassin with tips on how to play them, handle them as a DM, and a few cool tricks most folks had no idea on. Don't worry, we cover backstab! We discuss the Thief and the Assassin with tips on how to play them, handle them as a DM, and a few cool tricks most folks had no idea on. Don't worry, we cover backstab! Website Start here! Be sure and share this video with your friends, especially if they are interested in getting into 1st Edition! An overview of the channel and what it's all about! Website Start here! 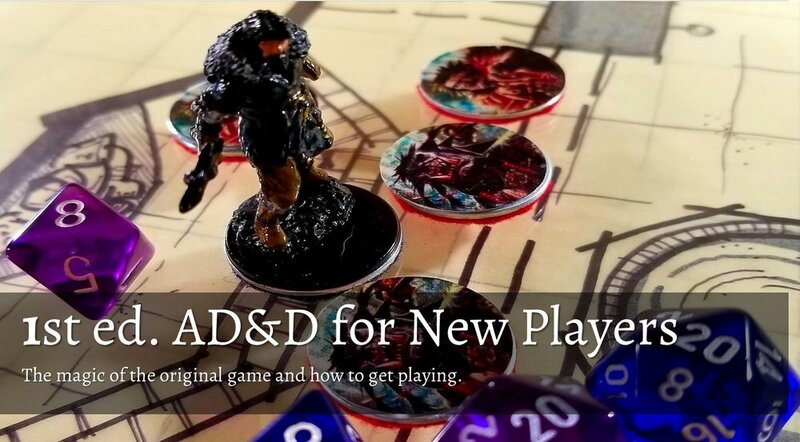 News, updates, details, characters, story, behind the scenes, and fun stuff for the player or DM in us all, plus all the videos in an easy visual catalog! http://www.telliotcannon.com/ Introduction Find out about the story, characters, and the show! Dungeon Master’s Guide pp 62. I use 3d6 for initiative as it creates greater variation and differences in values adding value to reaction attacking adjustment. 1 segment is 1/10 of a round or 6 seconds. I use 1, 6 second segment per attack round. 12” standard human movement which is 120 feet in 1 minute or 12 feet in 1, 6 second segment. Think of enemies and players engaged in melee range as groups. 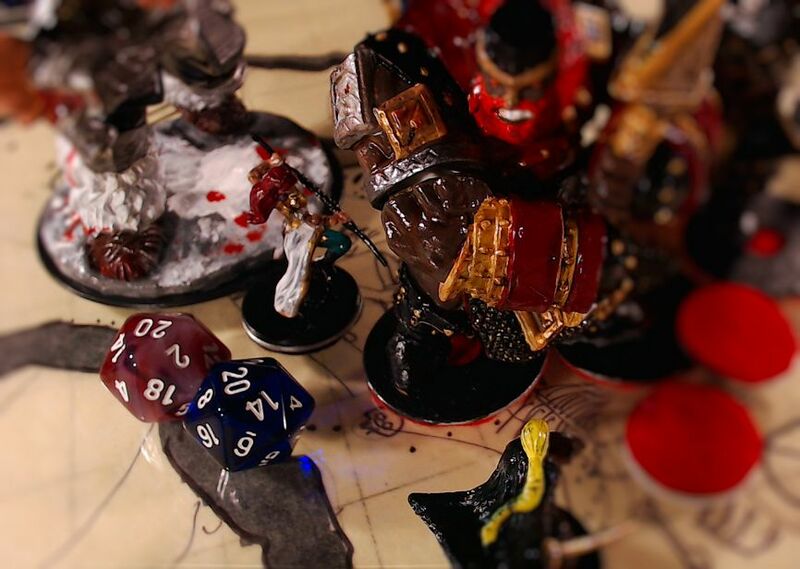 Reroll initiative when more enemies join the group or if players switch targets. This helps keep track of whose turn it is. Full Plate + Shield is AC 2. 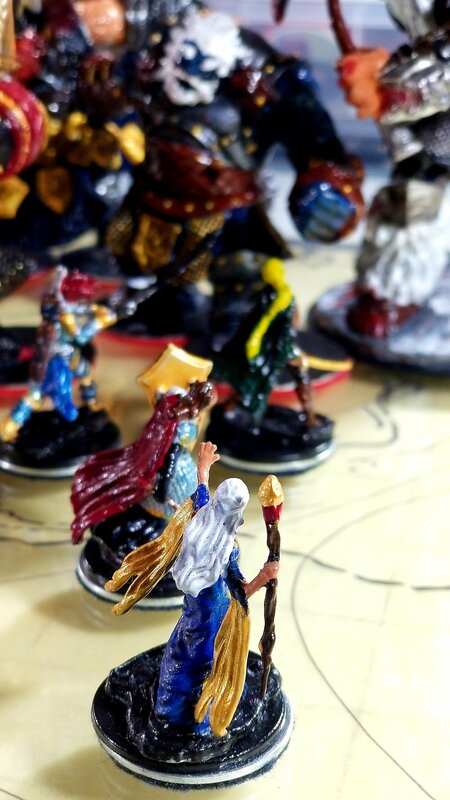 While spreading the word on the Dungeons & Dragons Facebook groups I'm a member of, I realized that most folks are not familiar with the cast of characters or the backstory. This article works as an introduction for just that. The Monk is up next! Often overlooked and called weak, the Monk has the nastiest stun in 1st edition Advanved Dungeons & Dragons. From high movement rate, mobility, vertically both up and down, thief abilities, and face crunching melee, the Monk is CC + Death in the purist form. Direct Link to the video on YouTube Part 8 - The Monk. Adding a second camera for the next phase of the throne room battle. Stay tuned! We take a look at the power and versatility of the 1st edition AD&D Ranger, a class that was overhauled in 3rd edition onward, losing most of its unique strengths in exchange for lore-oriented animal themes. I forgot to mention in the video that the 1st Ed. Ranger has no armor or weapon restrictions! (Page 19 Character Classes Table II: Armor and Weapons Permitted) That means in 1st edition, a full plate wearing, halberd totting, walking wave of giant cleaving death that has an attitude is 100% possible and encouraged. We take a look at the power and versatility of the 1st edition AD&D Ranger, a class that was overhauled in 3rd edition onward, losing most of its unique strengths in exchange for lore-oriented animal themes. I forgot to mention in the video that the 1st Edition Ranger has no armor or weapon restrictions! Here’s an in depth video series that shows you how to get started in 1st edition. 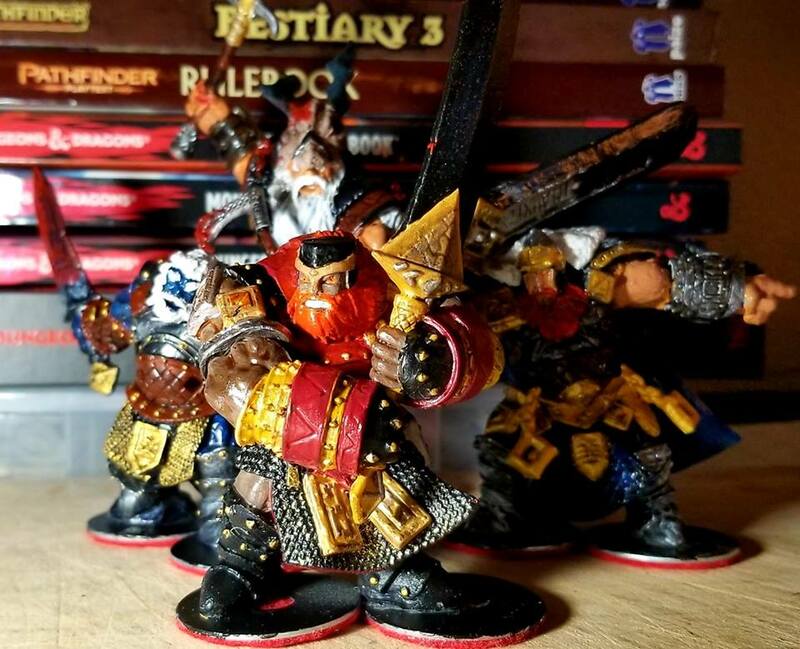 This is a great starting place for players who love playing 5th edition, but want to see where the game really started out! It also makes a fun trip down memory lane for old school players. 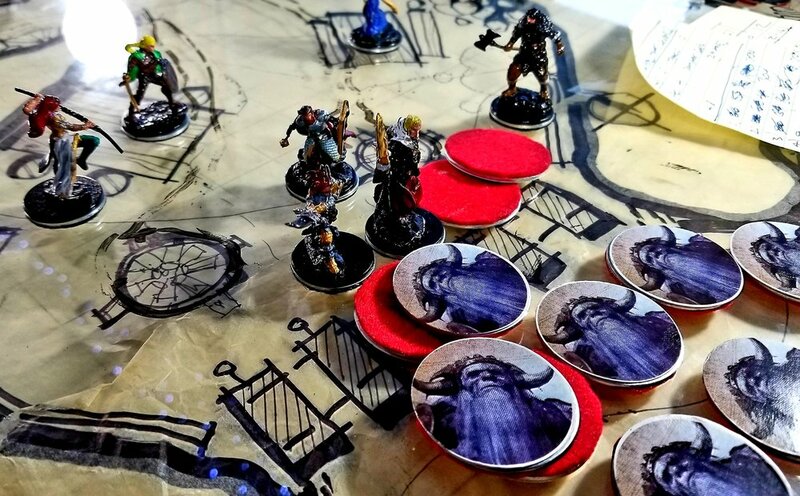 We go over how to get all the books, what you need, what you don’t, lots of high level concepts, and walk through the player’s handbook, ability scores, classes, spell systems everything! 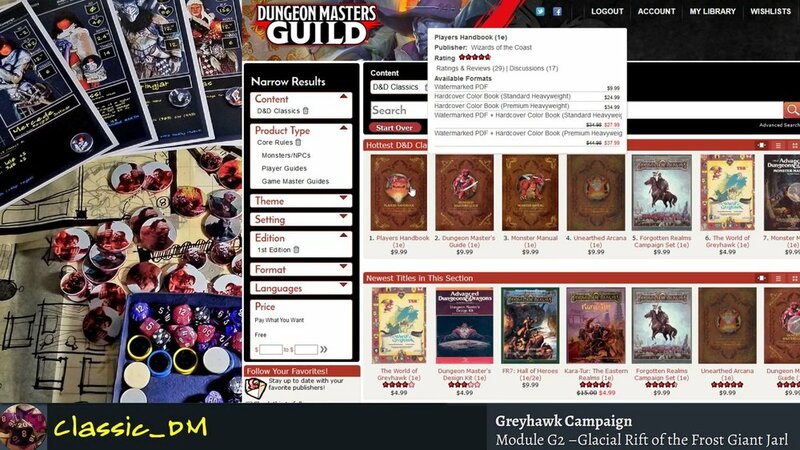 Links to all the PDFs at the Dungeon Master’s Guild. A multi-part EPIC battle in the throne room of Grugnur, Lord of Frost Giants in the middle of his Christmas Wassail inside G2 -The Glacial Rift of the Frost Giant Jarl. We go over the party's plan, strategy, and tactics to deal with Grugnur's Christmas Wassail! Classic _DM Links Patreon Page The HUB for everything! All content is FREE. Tons of updates, details, characters, story, and behind the scenes, and fun stuff for the player in us all. Support is optional. A multi-part EPIC battle in the throne room of Grugnur, Lord of Frost Giants in the middle of his Christmas Wassail inside G2 -The Glacial Rift of the Frost Giant Jarl! There will be blood! Classic _DM Links Patreon Page The HUB for everything! All content is FREE. A multi-part EPIC battle in the throne room of Grugnur, Lord of Frost Giants in the middle of his Christmas Wassail inside G2 -The Glacial Rift of the Frost Giant Jarl! Bloodbath! Classic _DM Links Patreon Page The HUB for everything! All content is FREE. In these two videos we go through the spell preparations for Obscura, Antola, and Faoltiarna in detail and anticipation of the massive battle in the throne room of Grugnur, Lord of the Frost Giants! Faoltiarna sorts her spell list for the final battle, with an emphasis on area of effect and crowd control! Classic _DM Links Patreon Page The HUB for everything! All content is FREE. Tons of updates, details, characters, story, and behind the scenes, and fun stuff for the player in us all. Like Faoltiarna, we run through the spells both Antola the cleric and Obscura the Illusionist might need for the final battle in G2! Classic _DM Links Patreon Page The HUB for everything! All content is FREE. Tons of updates, details, characters, story, and behind the scenes, and fun stuff for the player in us all. Let’s design the throne room encounter for G2, The Glacial Rift of the Frost Giant Jarl. Grugnur, Lord of the Frost Giants has a Christmas wassail in full swing with visiting dignitaries, generals, and ambassadors. 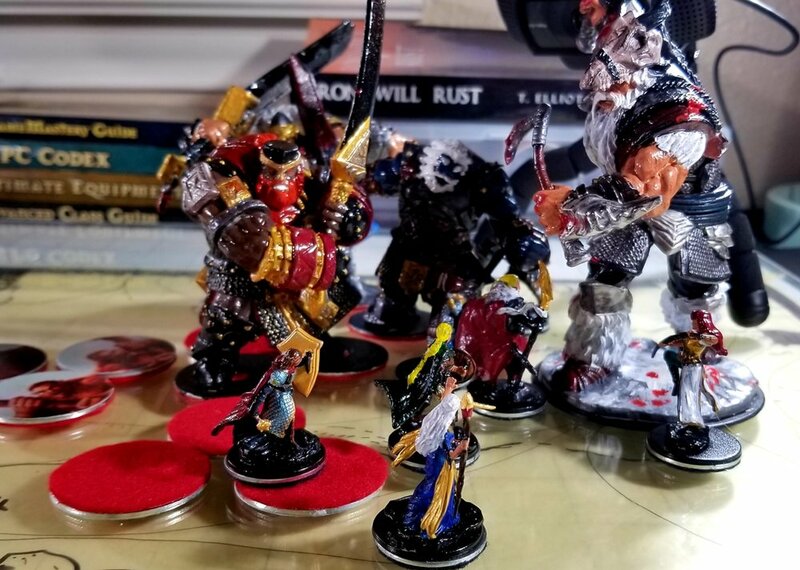 In this behind the scenes show, we create these key enemies from scratch, talk about the balance, stat choices, pay respects to 1st, 2nd, 3rd, 3.5, Pathfinder, 4th, and 5th edition books as we custom tailor the details to maximize personality, challenge, and fear! Let's do a quick and dirty jungle rocky coastline, inspired by a small section of the ruins of Tulum and the Hidden Shrine of Tamoachan. Module C2. Tulum is the site of a pre-Columbian Mayan walled city situated on 40-foot tall cliffs along the east coast of the Yucatán Peninsula on the Caribbean Sea. Let's do a quick and dirty jungle rocky coastline, inspired by a small section of the ruins of Tulum and the Hidden Shrine of Tamoachan. Module C2. Tulum is the site of a pre-Columbian Mayan walled city situated on 40-foot tall cliffs along the east coast of the Yucatán Peninsula on the Caribbean Sea Patreon Page The HUB for everything!